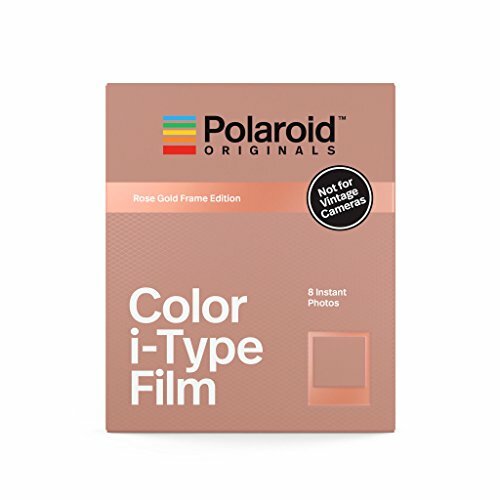 Polaroid Originals Instant Color Film i-Type - Rose Gold Edition (4832) by Polaroid Originals at EISF. MPN: 4832. Hurry! Limited time offer. Offer valid only while supplies last. Are you someone with champagne tastes on a better budget? we can relate. It’s why we made this special Rose Gold frame edition color I-type film. Are you someone with champagne tastes on a better budget? we can relate. It’s why we made this special Rose Gold frame edition color I-type film. Made just for I-type cameras like the one step 2, it captures your instant photography in a stylish Rose Gold frame, adding a touch of opulence to each Polaroid picture. So whether you’re shooting a sunset scene on the coast of cannes, or just trying to get a family photo at the barbecue before cousin Larry takes his shirt off, all your photos will have an added touch of class.